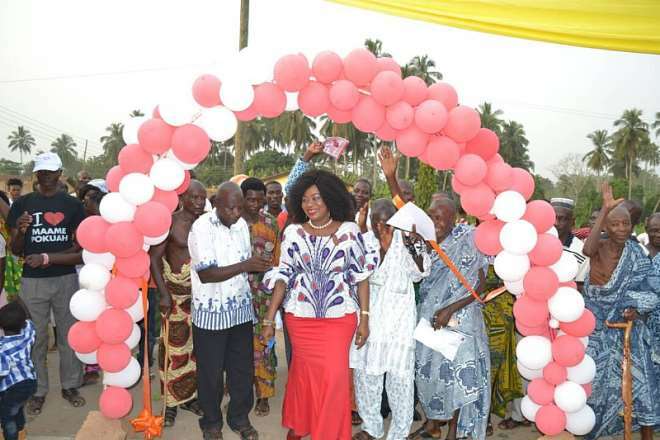 The Member of Parliament (MP) for Agona East, Obaatanpa Hon Queenstar Maame Pokuah Sawyerr has commissioned three (3) Community Centres at Agona Aboano, Agona Domoki and Agona Anomabo as well as cut the sod for the commencement of another three (3) at Kow Afedzie, Mensah Kwaa and Agona Brahabekome all in the Agona East Constituency. The commissioning of the three brings the total of community centres completed for various communities to a total of 24 aside the 3 to be constructed. 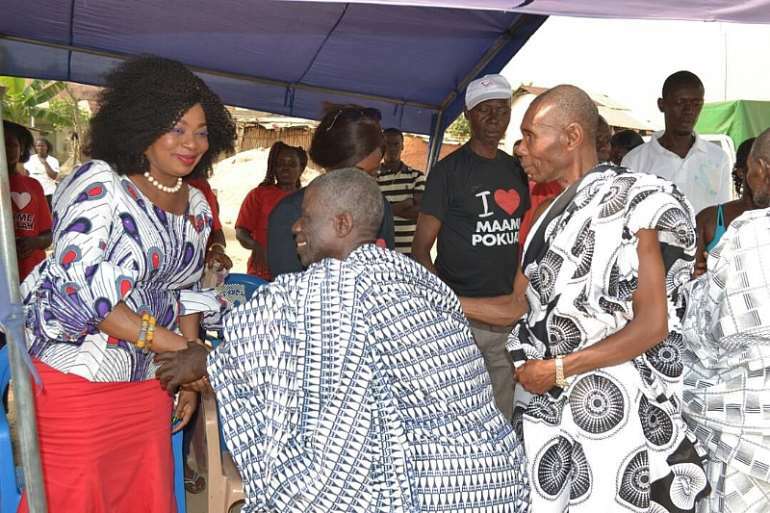 Speaking during a tour of communities in the constituency to commission the projects and starts new ones, Hon Pokuah Sawyerr stated that, "I am conscious of the promises I made to you before my tenure of office as your MP and as you can see, I won't renege on them. I will continue to be selfless in my service to you." 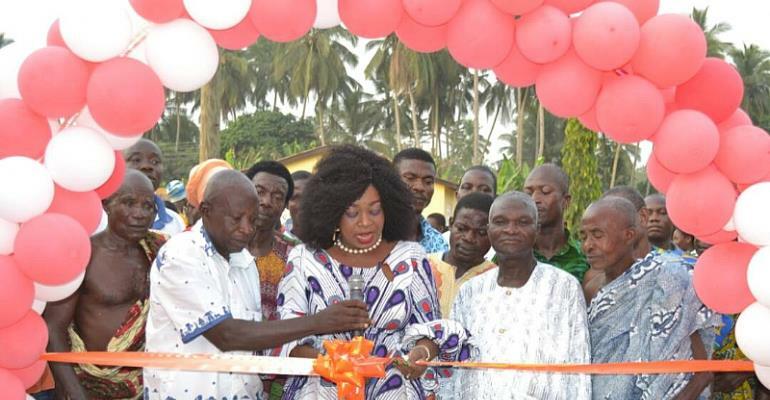 "I will ensure that this constituency takes its place when it comes to development," she declared as she commissioned a community centre at Agona Aboano, Agona Domoki amidst claps and cheers from the constituents. At Agona Aboano, the Odikro, Nana Amo Mensah and his people commended Hon Queenstar Sawyerr for her commitment to selfless service to them.
' You are always there for us. Your commitment to duty and support for all manner of people especially the vulnerable is commendable ' Nana Amo Mensah pointed out. 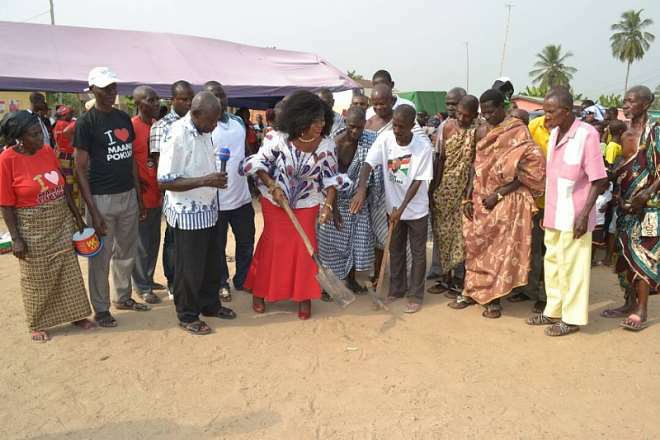 At Mensah Kwaa, Agona Brahabekome where she cut sod for the construction of a community centre, the MP, maintained her stance against political, social and cultural affiliation explaining that, her mandate is to all persons within her jurisdiction, irrespective of their political, social, cultural and religious affiliation. 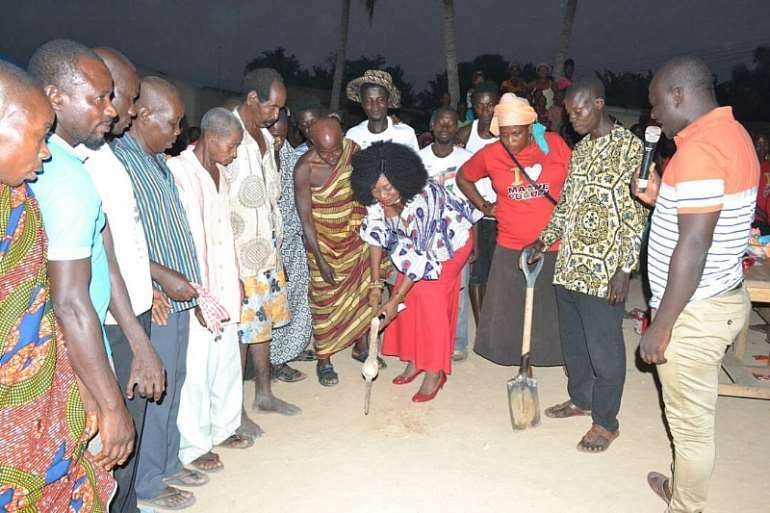 At Kow Afedzie, she disclosed that her decision to build a community centre, which sod she was cutting, was borne out of a realization that the communities lack a place to hold social events such as durbars, community meetings and funerals, among others. 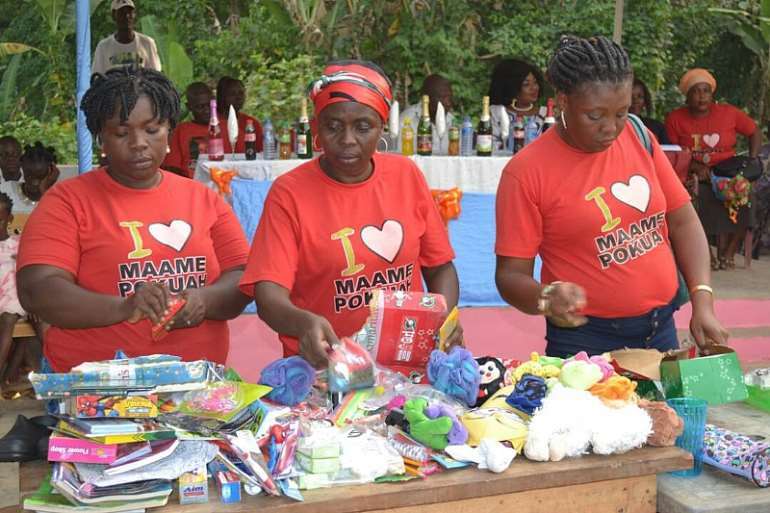 "Such social events forge unity and togetherness and common purpose that build into the development of communities; I am hopeful these centres would be used to maintain the unity and peace prevailing in the areas," she said. 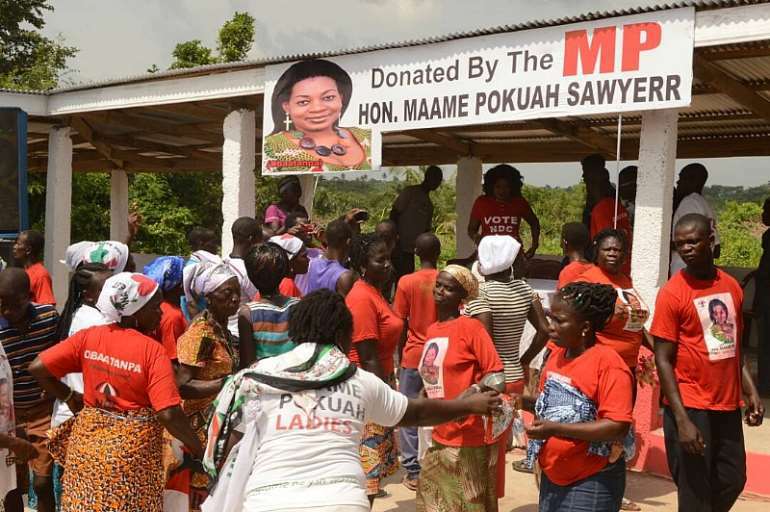 Hon Maame Pokuah Sawyer said ' This centre should serve as a shelter for all and sundry when it rains or when the sun is high'. She explained further that, it would also relieve the people of the burden of hiring canopies for such events. 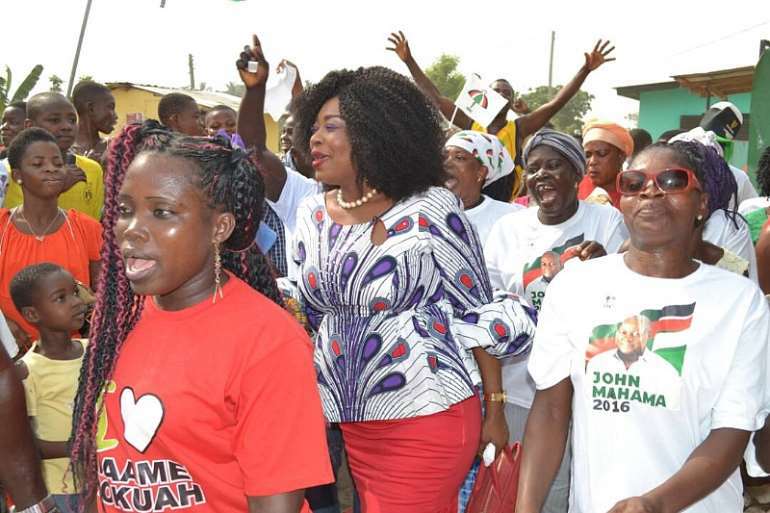 Hon Queenstar Sawyerr, at Agona Anomabo urged students in her constituency to take their studies serious especially the final year JHS students who are preparing to write their Basic Education Certificate Examination (BECE) in two months time. 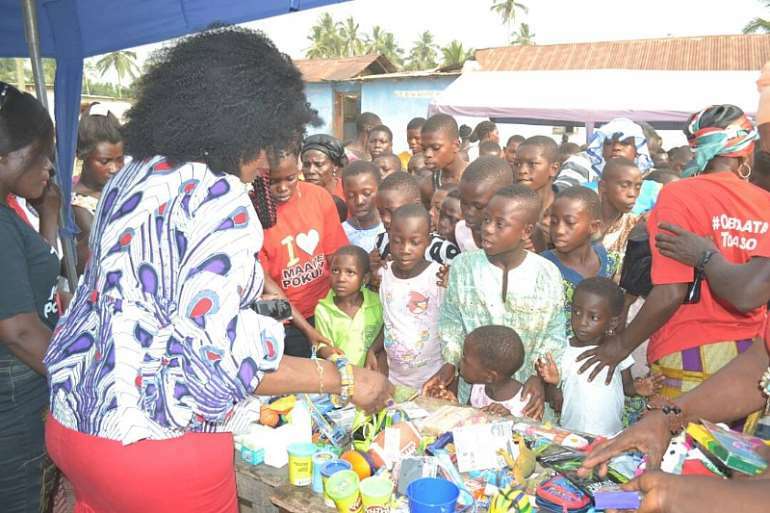 Hon Queenstar assured the BECE candidates of providing free one HOT MEAL each day, God willing for them during the examination period as she has been doing always.